August « 2014 « Nothing in Biology Makes Sense! 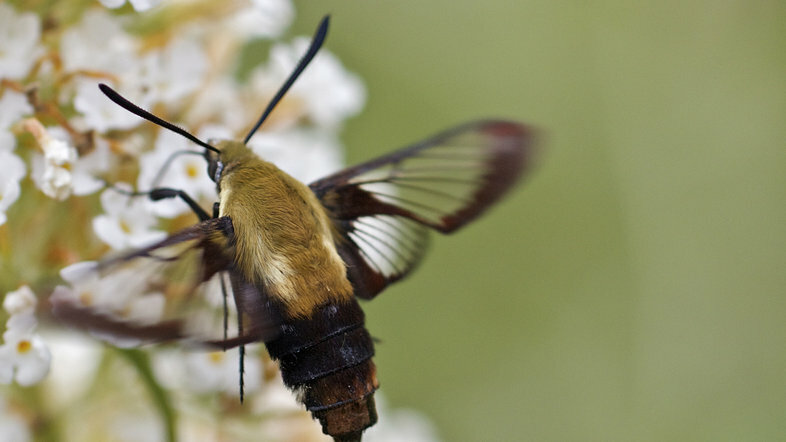 As a follow-up to CJ’s post about hummingbird moths—more generally known as hawk moths—let me recommend this episode of Plants are Cool, Too, which features the work of Chicago Botanic Garden conservation scientist Krissa Skogen. At White Sands National Monument, Skogen tracks the nectar rewards that attract hawk moths, and how far the moths carry pollen. It walks. It breathes air. And apparently it can adapt to terrestrial life relatively “easily”. The scientists raised groups of bichir on land for eight months to find out how they would differ from bichir raised in the water. They found that the land-raised fish lifted their heads higher, held their fins closer to their bodies, took faster steps, undulated their tails less frequently and had fins that slipped less often than bichir raised in water. The land-raised fish also underwent changes in their skeletons and musculature that probably paved the way for their changes in behavior. All in all, these alterations helped bichir move more effectively on land. Look there, up in the sky! It’s a bird! It’s a moth! It’s a…. hummingbird moth? Last week NPR posted an excellent article about what can only be the coolest pollinator. Ever. Well, it had to happen some time, I guess. 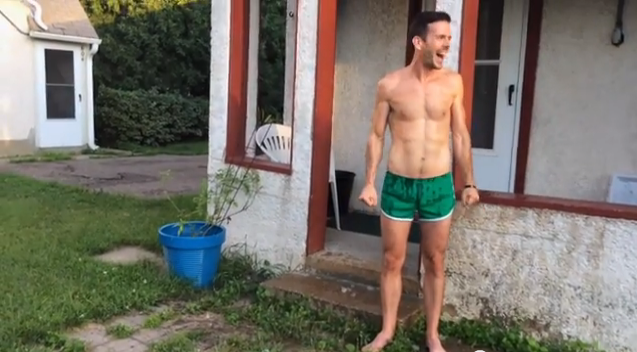 A friend tagged me on Facebook in the “ice bucket challenge” to raise funds for the ALS Association. It’s gone massively viral: post a video of yourself getting soaked in ice water, donate to ALSA, and nominate more folks to do the same. So far, it’s raised more than $70 million, and it’s not slowing down yet. You need to fund scientists year in and year out; throwing a large grant at them in 2014 and then going away would probably end up causing more harm than good. As a result, most of this money will (and should) probably end up simply sitting on the ALS Association balance sheet, maybe earning some modest rate of interest, getting doled out very slowly over many years. In terms of bang for the buck, then, giving money to the ALS Association is not much better than giving it to Harvard. Rather than being front-loaded and effective, it’s going to be back-loaded and (sadly, given the results of the $100 million that the ALS Association has spent to date) probably ineffective. The real foundation of science in the U.S. is funding agencies like the National Science Foundation and the National Institutes of Health. And those agencies have had a rough decade. Nephilia plumipes. Photo by Henry Oon. Urbanization is one of the most dramatic changes humans make to natural habitats. Cities are concentrations of tall buildings, paved landscape, air pollution, and everything else that we do to make life easier for ourselves. But some living things do quite well in these highly altered conditions—think rats and cockroaches, but also red foxes and crows. 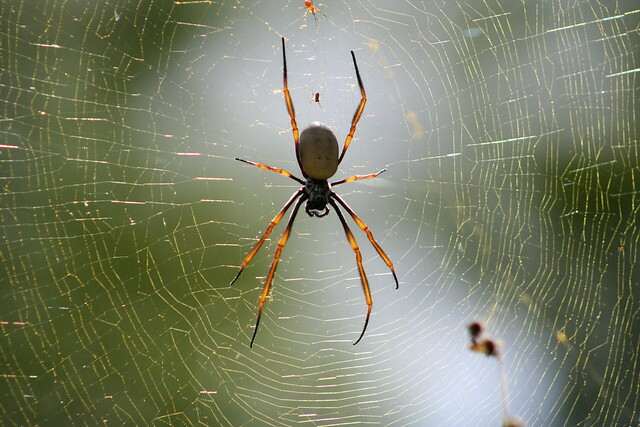 As the Popular Science blog Eek Squad notes, there’s a new entry on that list: golden orb spiders, Nephila plumipes. Lowe and colleagues found the city-dwelling arachnids were bigger than their country kin, and the most fertile spiders were found in neighborhoods with the highest socioeconomic status. Why? The most likely explanation is that cities are warmer, which can lead to bigger invertebrates, and there’s more prey available. The latter is partly because of leaf litter and food for the prey, but it’s also because of a city-related scourge: Artificial light at night. Large spiders were found nearby, or living on, structures like light posts. Insects are drawn to sources of light at night, which could mean more meals for spiders living under bright lights in the big city. Note that this isn’t necessarily an evolutionary change in response to urban habitats—the spiders probably just find conditions much more favorable in the city, and grow bigger as a result. But that change in resource availability could certainly lead to evolutionary changes over the long term. Go check out the whole Eek Squad post, and have a look at the original scientific article, which is freely available on PLOS ONE. What’s wrong with peer review? Us. The reviewers. 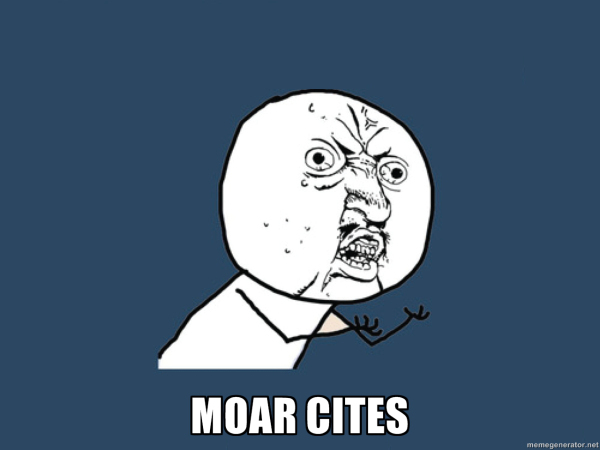 Peer review is often criticized for it’s lack of efficiency and frequently for making a paper… worse. An article over at Code and Culture does a good job of summarizing the issue, complete with cool little videos that aptly describe how I think peer review feels. Skeptical that PMS is an adaptive response designed to break up your relationship? Me too. In a pleasantly surprising turn of events, this week a take-down of some dubious evolutionary psychology was published by the popular media! The original article, a perspective piece published in Evolutionary Applications, claims that moodiness associated with PMS may have historically served an adaptive role by driving infertile couples apart. Premenstrual syndrome (PMS) affects up to 80% of women, often leading to significant personal, social and economic costs. When apparently maladaptive states are widespread, they sometimes confer a hidden advantage, or did so in our evolutionary past. We suggest that PMS had a selective advantage because it increased the chance that infertile pair bonds would dissolve, thus improving the reproductive outcomes of women in such partnerships. We confirm predictions arising from the hypothesis: PMS has high heritability; gene variants associated with PMS can be identified; animosity exhibited during PMS is preferentially directed at current partners; and behaviours exhibited during PMS may increase the chance of finding a new partner. Under this view, the prevalence of PMS might result from genes and behaviours that are adaptive in some societies, but are potentially less appropriate in modern cultures. Understanding this evolutionary mismatch might help depathologize PMS, and suggests solutions, including the choice to use cycle-stopping contraception. Here’s the scapegoat unhappy spouses have been waiting for: According to a paper out last week by Michael R. Gillings, premenstrual syndrome (PMS) can ruin a marriage. Gillings claims that PMSing women—in infertile couples in particular—may use feelings of “animosity” as well as risk-seeking and competitive behaviors to leave their husbands and find someone new. I’m sorry to say, but the evidence in favor of this hypothesis is thinner than Always Infinity menstrual pads.